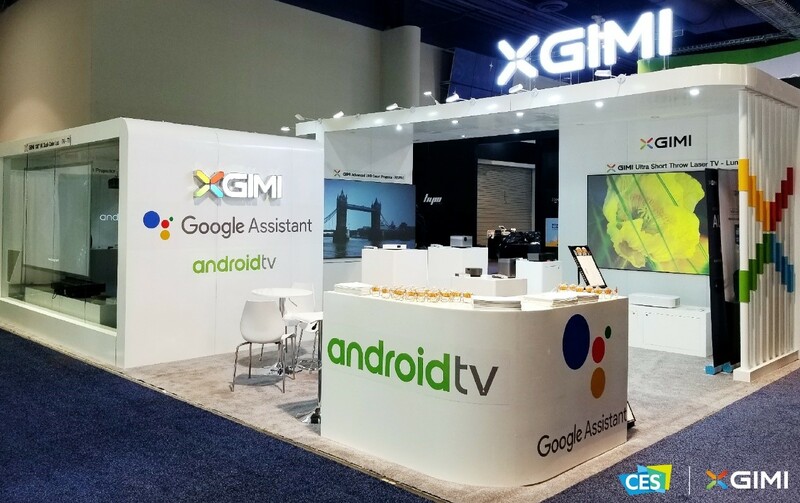 CHENGDU, Sichuan, January 18, 2019	(Newswire.com) - The world's leading screenless TV brand XGIMI had appeared in the 52nd CES, i.e. the International Consumer Electronics Show. 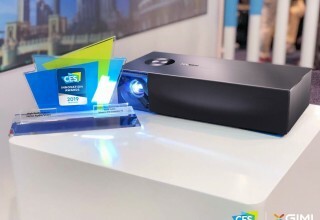 In LVCC, the 20244 Booth of South Hall, XGIMI has displayed its 4k and 1080p ultra-short throw laser TVs as well as the UHD and Full HD home theaters and projectors, including the portable projector with Google Android TV system that will be launched in the overseas market in 2019. 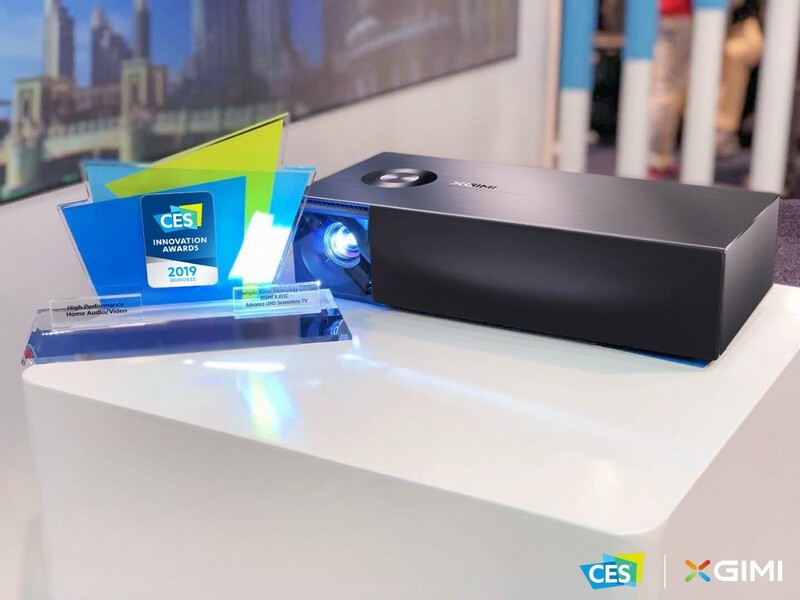 This time, two of the XGIMI products are awarded CES Innovation Awards. 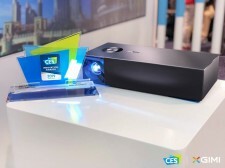 XGIMI X1 short throw portable projector has been named the honoree of Portable Media Players and Accessories. And XGIMI RS Pro 4K home theater has been named as High-Performance Home Audio/Video honoree. With the further development of Global Strategy, the acceptance of XGMI's products in the overseas market is increasing year by year. In December 2018, IDC has released a report on Chinese Projector Market Tracking Report for the Third Quarter in 2018. According to the statistic, in the first three quarters of 2018, XGIMI ranked first for its 400,000 units shipment volumes, which was the first time that a Chinese projector brand took first place in the Chinese projector market. Founded in 2013, XGIMI took only 5 years to end the era of the domestic market being dominated by foreign projector brands. XGIMI has attended CES for 6 consecutive years and 7 products have won CES Awards. In addition, this young team has also been the winner of many international awards such as iF Design Award, Red Dot Award, and the Good Design Award 15 times. The global version of XGIMI H2 and Z6 as well as the light popin Aladdin, developed by XGIMI and Baidu subsidiary company in Japan, have become the most popular products in 2018. At present, XGIMI has expanded its market to North America, South America, Europe, and Southeast Asia, with users among 127 countries and regions around the world. At the same time, XGIMI has cooperated with many top partners and is going to accelerate its global strategies. Also, XGIMI has gained the official recognition and support from Google in the overseas market. It has now already signed an authorization agreement with Google and has become the world's first professional projector brand that has official cooperation with Android TV. Overseas users can get the official apps and content from Google stores and get a more stable system using experience on their devices. In terms of sourcing channel, XGIMI has joined hands with MediaMarkt, Amazon, and Lazada. In the future, oversea users can purchase and experience XGIMI's products in more countries and platforms. Found in 2013, XGIMI Technology is a pioneer manufacturer in Chinese home projector market. The products include H series, CC Aurora, Z6, and A1 are well received by customers and have won many international famous awards from CES and Red Dot Award. In the future, XGIMI Technology will continue to make better user experience and push forward its global strategy. Visit www.xgimi.com/en/ to learn more. Company Name: Chengdu XGIMI Technology Co., Ltd. It breaks the 15-year constant pattern of the projection market and secures its leading position. It will showcase the double wall stainless steel vacuum flask and vacuum tumbler series.